When you first started to dive you probably found descending difficult and added a kilo or so of lead to help you out. Often this leads to new divers being incorrectly balanced once they get to the intended depth. Without having been corrected, you might still be carrying extra weight even after numerous dives. If you’re tired of lugging excess weight while you are diving it’s time to learn some helpful tips for natural buoyancy. And if you’re not sure if you are over-weighted, we’re going to share some tips for finding out. Why is it important to be properly weighted? 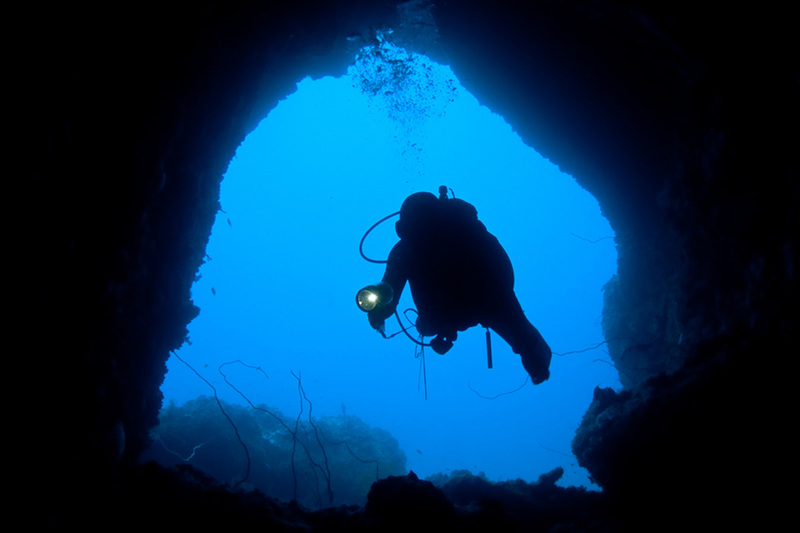 Diving with the optimal weight is one of the most important elements of diving. If you are over or under-weighted, you will find it more difficult to adjust to buoyancy changes. This means using more gas to compensate for the lack of natural buoyancy and even the risk of exceeding the ability of your BC. When you are properly weighted you will be able to move through the water more easily, managing ascents and descents with no problems. It’s also very important to reduce the risk of damaging the marine environment through accidentally touching the bottom, or if propulsion wash hits your surroundings. Determining if you’re over weight is quite easy but takes a little bit of honesty and thought with yourself. When properly weighted you should float at eye level while holding half a breath with no air in your BC. When this breath is exhaled you should begin to sink. 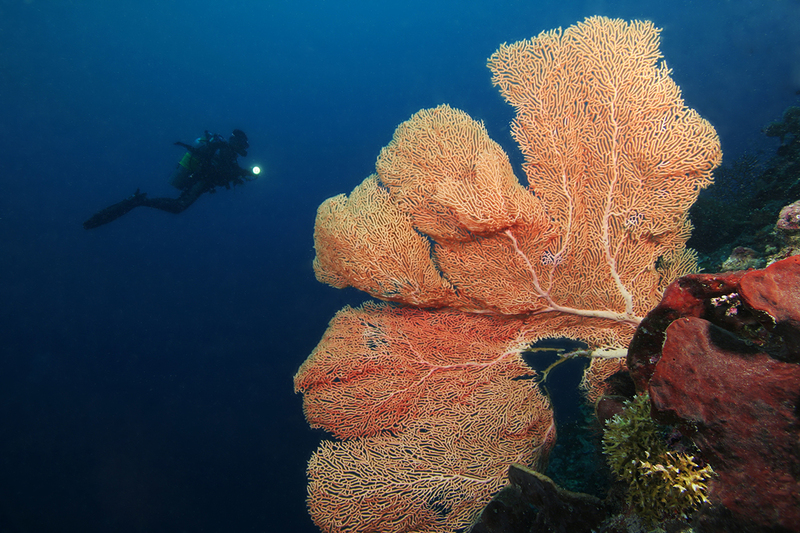 If you’re still not sure, the instructors and dive guides at Gangga Divers will be able to help you. They will watch your body position in the water while you dive. 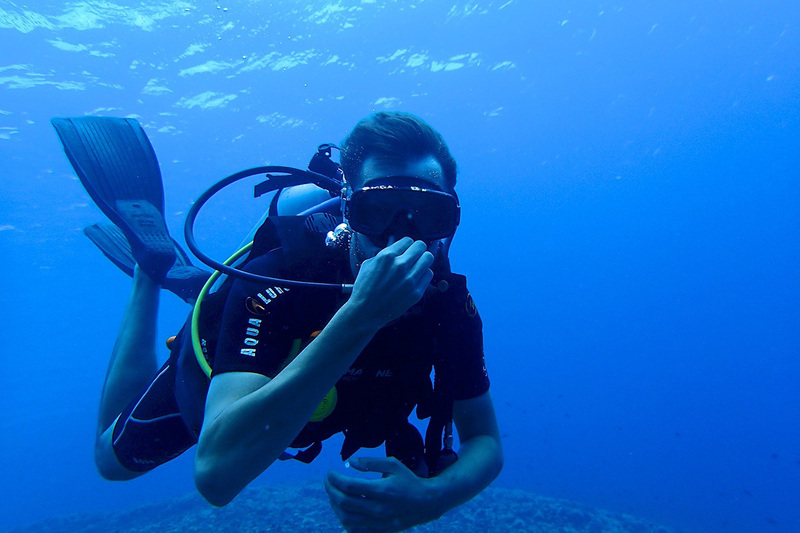 Divers who are carrying too much weight often swim with their fin tips slightly down and heads angled upwards. The reverse, fins up and head down, is a sign of being under-weighted. You can also take note of what your fins do when you stop moving. If they immediately sink you are likely over-weighted and the reverse again for being under-weighted. With a professional dive instructor, do a surface check with 1000lbs of gas or less in the tank. Another test should be done at depth and weights can be added to ensure a neutral position in the water. You should be able keep a neutral position in the water with no effort. 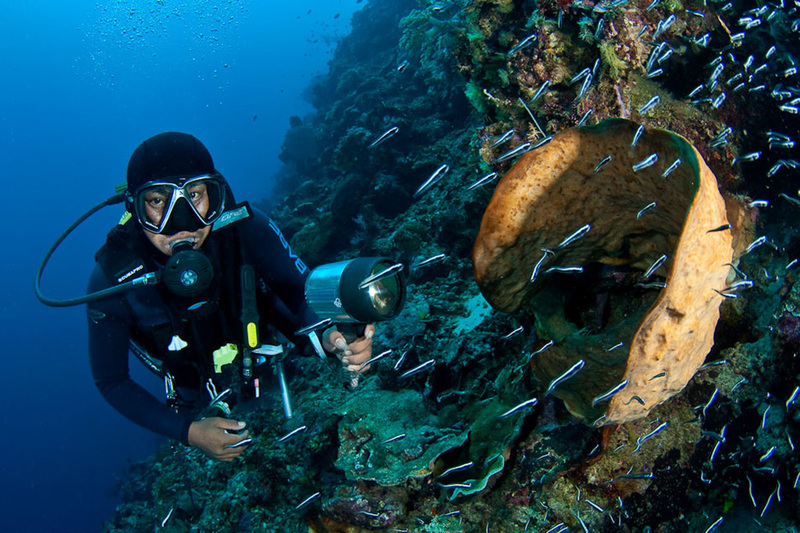 Your gear can also be an issue when it comes to buoyancy. The thinner the wetsuit or shorty the better, and luckily around Gangga Island Resort & Spa the water is warm enough to dive with the thinnest suit or even none at all. Your tank and BC can also cause issues that lead to being over-weighted. Divers sometimes wear BCs with large air cells where gas can become trapped. Instead of removing this airspace divers will add more weight, which compounds the problem. Lastly, buoyancy can have a lot to do with your level of fitness. Fat is more buoyant than muscle, so to drop some of the extra lead you might need to turn some fat to lean muscle. Of course this is not only great for buoyancy, you’ll also get the benefits of increased stamina, lung capacity, and strength. If you find you are feeling too heavy, dropping fast, burning gas and feeling fatigued quickly talk to your dive instructor at Gangga Divers. They will be able to determine if you are over-weighted on your dives. Do you have any experiences with being over or under-weighted whilst diving. We’d love for you to share in the comments below.